The title of the film refers to the oftentimes debilitating vulnerabilities that can be exploited by the seasoned hacker. As outlined in the documentary, the phenomenon of the hacker rose to prominence in the 1980’s, as generally innocuous computer nerds made mischief by implanted malware on unsuspecting victims. But what began as little more than a minor annoyance has grown considerably more sophisticated and destructive over the intervening years as these hackers have found a profitable niche in which to employ their considerable skills. The world’s top technological wizards are working around the clock to devise powerful firewalls and encryption, but the threat continues to evolve. These merchants of cyber menace offer their services to the highest bidders. While they exist underground, their employers can be the most public of entities. Governments have been known to utilize the services of hackers in their attempts to gain intelligence or inflict damage on neighboring countries. There is no easy fix to this crisis. 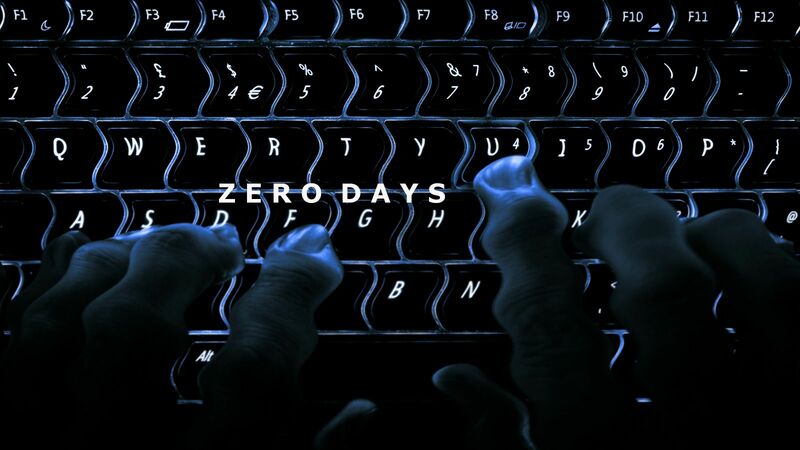 Zero Days paints a frightening portrait of a cyber world that is growing far too large and expanding too rapidly to contain. “The bottom line is we are putting so much vulnerable, hackable, connected technology into so many places that this makes us prone to the willpower of any potential adversary or foe,” says interview subject and computer security activist Joshua Corman. An impending cyber war will certainly find nourishment from our reliance on the very systems deployed to attack us.